During the opening of TC Shopping Plaza in Tutuban Center, (in photo, L-R) Tutuban Center officials Christopher Sioson, Building Administration Manager; Christopher De Leon, AVP for Construction & Engineering Management; Sylvia Tecson, VP for Sales & Marketing and Teodocio Mosquito, AVP for Security & Safety Compliance formally open the new TC Shopping Plaza at Tutuban Center on Independence Day. With over 170 operating from 9AM to 7PM, the plaza serves as an exciting daytime complement to Tutuban Center’s thriving night market scene. 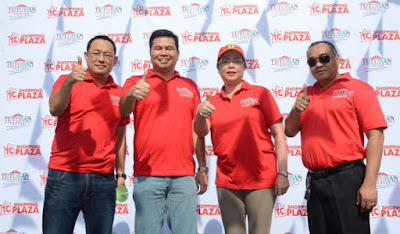 According to Sylvia Tecson, VP-Leasing and Marketing of Tutuban Center, aside from catering to Tutuban Center’s shoppers, the TC Shopping Plaza also aims to give its existing and potential tenants plenty of business opportunities, thanks to heavy foot traffic in the area.Located near Bonifacio Plaza (in front of Prime Block and Centermall), the TC Shopping Plaza provides convenient access to shoppers and tenants coming from Mayhaligue (PNR Riders), Recto (LRT and north), from Tondo, and from Ilaya and Tabora in Divisoria. 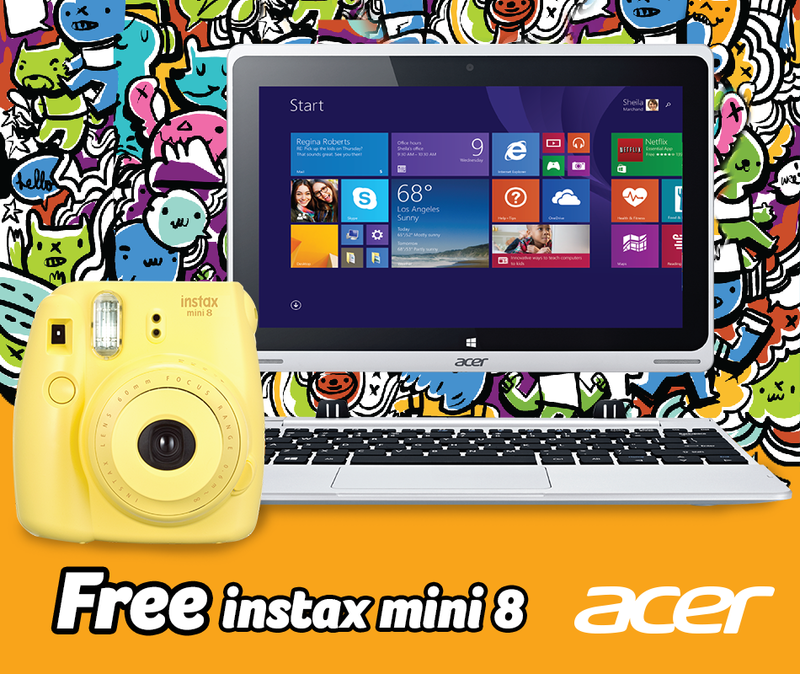 It’s back-to-school season again! 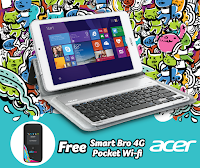 Ready for longstudy notes, endless reviews, challenging projects?Global tech titan, Acer got you covered! 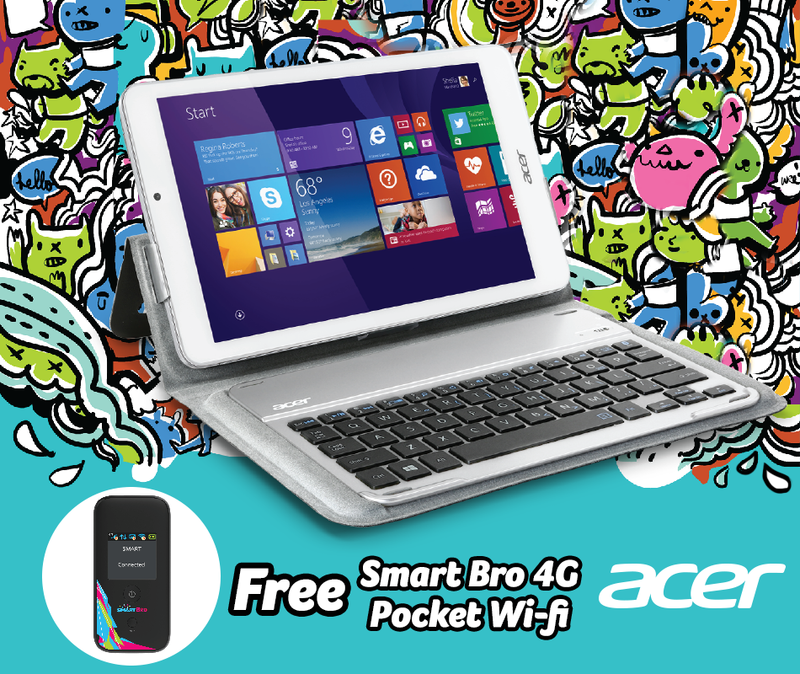 #PullitOff this school year with Aspire Switch 12, Aspire Switch 11 and Aspire Switch 10 E! 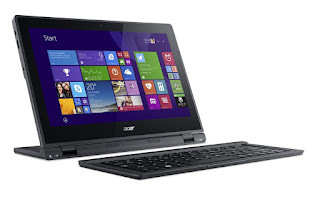 Aspire Switch 12 is powerful in terms of computing abilities, responsive and vivid graphics yet consumes low power, thanks to its new Intel® Core™ M processor and smooth-running Windows 8.1 operating system.Itsbig, 12.5-inch display screen, protected against accidental bumps and scratches by Corning® Gorilla® Glass keeps up with the always-active student lifestyle. Its full HD display lets you see everything as clear as a whistle regardless of angle or extreme lighting condition. 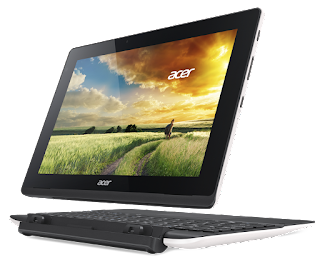 The touch-screen displayhas anti-fingerprint capabilities to prevent those unappealing smudges from splotching the screen. Need a buddy that is as versatile as you? 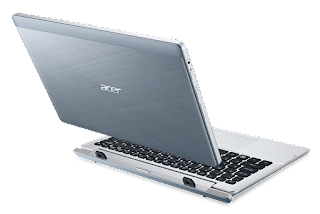 With Aspire Switch 11’s unique Acer Snap Hinge™, you can flip, rotate, or detach it in a snap.Itsinvisible force of magnetism lets you detach the tablet seamlessly and snap it back on whenever and wherever you need it. The spacious chiclet keyboard is perfect for taking down long notes because it assures comfortable typing and solid tactile feedback. 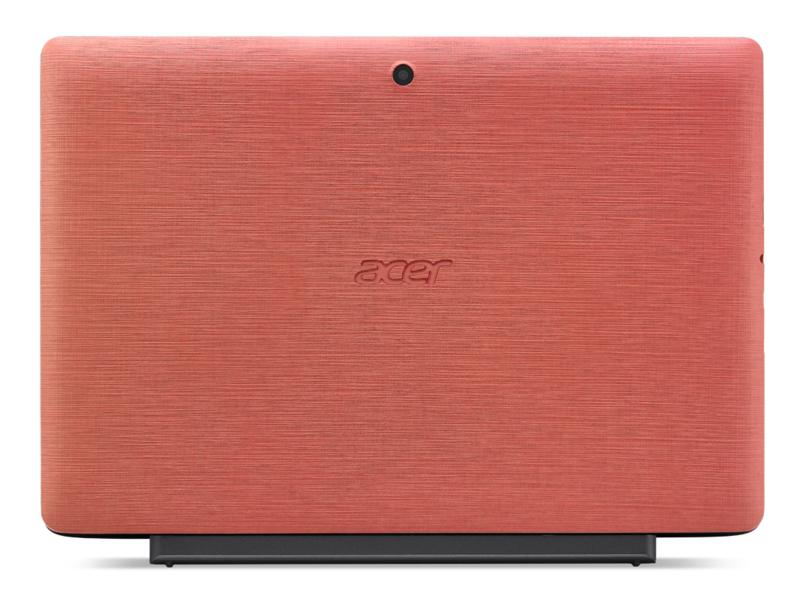 Supported by six touchpad gestures, Aspire Switch 11’s Precision Touchpad guarantees gestures as fluid as touchscreen gestures. 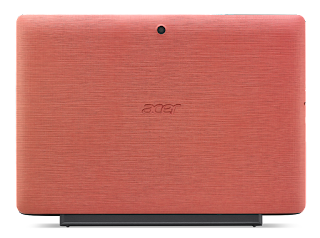 Express yourself freely with Aspire Switch 10 E’s range of trendy colors that work perfectly with its dynamic shape and elegant textile-pattern texturing. This 2-in-1 runs on Windows 8.1 andfeatures all the Microsoft Office programs1 you need to get home works done. Its Intel quad-core processor and 12 hours of battery life make the Aspire Switch 10 E the ideal tool for group studies. For more information about the excitingAcer Aspire Seriesand other 2-in-1 devices, visit the Acer Philippines Facebook page (www.facebook.com/AcerPH), follow Acer via Twitter (twitter.com/acerphils), or go to www.acer.com.ph. Triathlon is an adrenaline-pumping activity that combines swimming, cycling and running in one event. 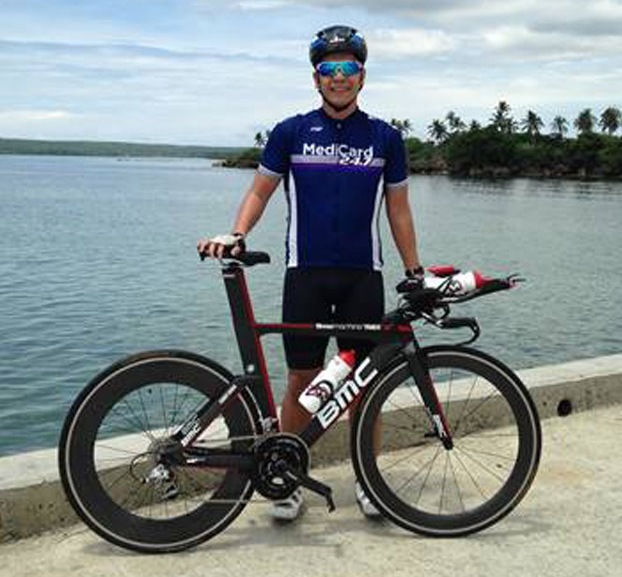 It’s a popular sport in the Philippines, thanks in large part to celebrity triathletes who not only promote the sport to the general public but also make it look easy and fun to do. In reality, however, first-time triathletes need 3 to 6 months of preparation to finish the race without injury or burnout. “It takes time to improve your endurance and stamina for a triathlon event. Aside from multisport training, you need to make healthy lifestyle choices—good nutrition, regular exercise, adequate rest, and having a positive attitude,” says Dr. Nicky Montoya, president of MediCard Philippines. 1. Training is serious business. Be physically and mentally prepared. The way to becoming a triathlete is to live an active and healthy lifestyle all the time and to train harder when the triathlon event approaches. Do not join when you’re not physically and mentally ready to avoid hurting or exhausting yourself. 3. Train with a buddy for encouragement and support. Working out and doing multisport activities alone can get boring and lonely. It’s the reason why triathletes typically train with their team or with a loved one who’s also into the sport. “During the weekdays, [my wife] Lyka trains in the gym and me on my own. We train together on weekends,” says Jamie Leather. 5. Never stop improving. The great thing about triathlons is that there’s always room for improvement with its three disciplines to “master.” It’s about one’s personal journey to fitness and sporting excellence. So if the first triathlon event intimidates you, strive to be better next time. “Try it!” encourages Vanessa Aguirre-Estrada. “The community is growing and you can have new friends to ride, run and swim with. Conquer the sport you least like and this can be your biggest challenge and your greatest achievement. Make it your bucket list to finish one race. It only takes one race for you to believe in the triathlon bug.” Before a triathlon training, consult your doctor first to check your health and fitness level through stress testing and annual examination to design a safe and effective training program. MediCard has 12 free-standing clinics located in key cities. For more information, visit www.medicardphils.com. Porsche AG will equip all of its cars with the newest MICHELIN Pilot Sport Cup 2 ultra-high-performance tyres, the company announced at the launch of its latest model, the new 911 GT3 RS. The just released model from Porsche’s 911 series now sport tyres in the 265/35 ZR20 front and 325/30 ZR21 rear sizes. Blurring the line between motorsport and road tyres, the MICHELIN Pilot Sport Cup 2 is the latest generation of road-legal track tyres specially designed for ultra-high performance cars that are used on road and track. 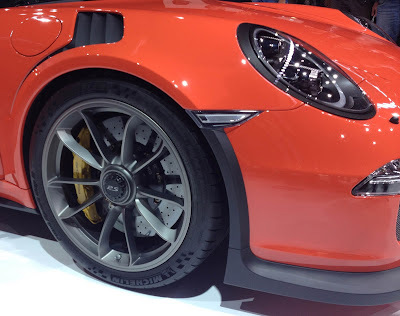 The trust that Porsche has in the performance of this tyre is clearly demonstrated by the fact that it is also the OE fitment on other recent models including the 918 Spyder, Cayman GT4 and 911 GT3. The co-development of these tyres began with the ones that are fitted to the 918 Spyder and these were then developed and fine-tuned to suit the characteristics demanded by Porsche engineers for the track-focussed GT3 RS. Using tyre sizes that are larger than those fitted to the GT3 means that the size of the contact patch of the tyres is increased by 20% at the front and 18% at the rear. 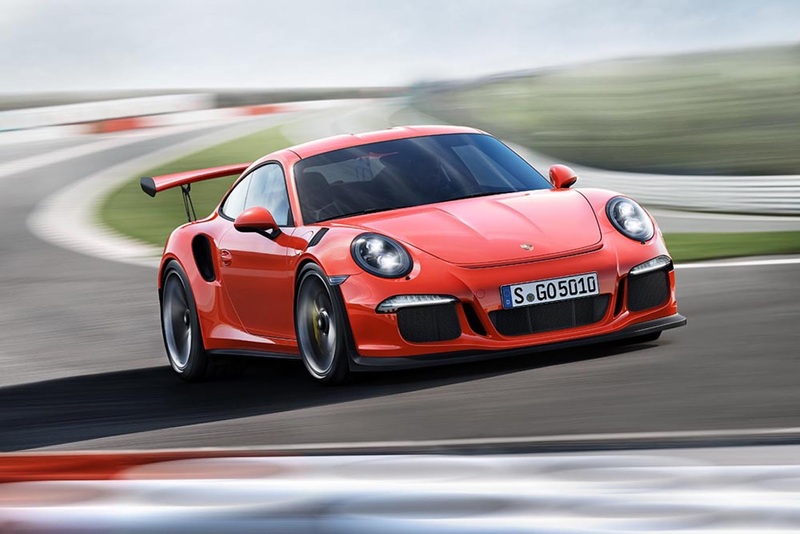 Overall this has the effect of increasing outright grip levels and contributes to the car’s more track-focused dynamic handling characteristics. Due to an innovative range of motorsport-derived technologies such as Bi-Compound technology, which involves the use of different rubber compounds on the inner and outer sections of the tread and Track Variable Contact Patch 3.0, which optimises pressure in the tyre's contact patch so the same amount of rubber is always in contact with the road or track, whether driving in a straight line or cornering, the MICHELIN Pilot Sport Cup 2 offers drivers a unique balance between safety and driving enjoyment that makes it suitable for everyday road use as well as in very demanding conditions on the racetrack. To achieve this, Michelin engineers focused on simultaneously improving performance in different areas in-line with the Group’s Total Performance strategy. As a result of this strategy, compared to its predecessor the Pilot Sport Cup+, the Pilot Sport Cup 2 lasts up to 50 per cent longer on track while offering faster lap times*, improves resistance to aquaplaning in wet weather and maintains high levels of driver safety and enjoyment. The ‘Scooter for All’ is a small brother yet compact and sporty version of the very successful and the class-leading Honda Click125i which Honda Philippines launched in February 2015 and referred to as the ‘Premium Scooter.’ Equipped with the exclusive and industry-revolutionizing feature called the Honda Smart Technology, which the company first introduced to the Honda Click125i, the New Generation BeAT-FI eSP Series becomes the ‘Scooter for All’ primarily because of its excellent engine performance, stylish and sporty design, groundbreaking features, plus affordability that enables it to cater to a wider market base among Filipino scooter enthusiasts. It also comes with other new design elements including an aerodynamic steering cover, an aggressive headlight form, a very informative meter panel, a sporty tail light, a sporty muffler protector, a stylish fan cover, a new design crankcase cover, sporty rear suspension with plastic cover, and a stylish side mirror. The New Generation BeAT-FI eSP Series is also high on groundbreaking elements and features that are practically typical in most of the scooters in the market today. It comes with customer-friendly features that provide riders more convenience and utility including a larger utility box, bigger tire size, comfortable triangle riding position, unique battery position and cover, and very accessible position of the air cleaner. In terms of utility space, the New Generation BeAT-FI eSP Series has a larger utility box that is capable of accommodating 11.2 liters worth of personal items or safety equipment. The Honda Smart Technology is actually what’s powering the New Generation BeAT-FI eSP Series to its very remarkable on-road performance punctuated no less by its class-leading fuel efficiency which is 63 kilometers per liter for its CBS/ISS variant and 58.5 kilometers per liter for the standard model based on the ECER40 test method. 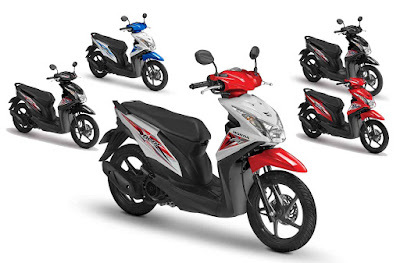 Honda has also maintained its trend-setting safety and security features in the New Generation BeAT-FI eSP Series including a secure key shutter, a side stand switch, park brake lock, automatic headlight on (AHO), and the combi-brake system. With the key secure key shutter, the New Generation BeAT-FI eSP Series comes with a magnetic locking system that can be closed manually, which reduces the risk of theft apart from being more practical and comfortable. It also comes with a side stand switch equipped with an electric circuit breaker. Majority of motorcycle and scooter accidents happen because riders forget to lift the side stand as they drive. It won’t happen with the New Generation BeAT-FI eSP Series as the scooter engine would not start if the side stand is in the down position thereby eliminating the risk of possible accident and ensuring safety for the rider. 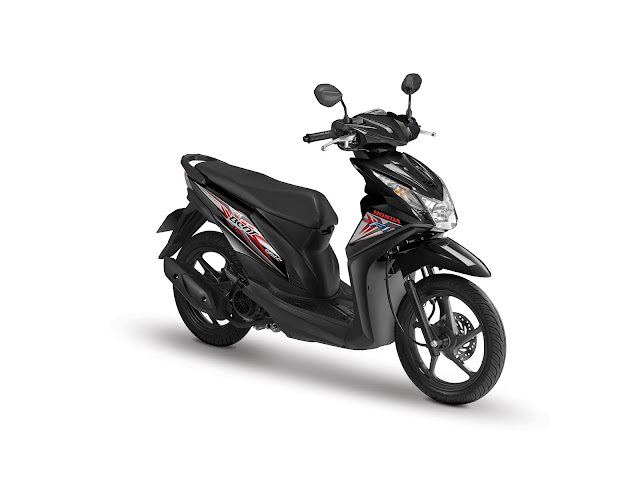 The park brake lock is meant to prevent the motor current to jump start the engine and jerk the scooter, and also avoid the risk of unwanted accident for the rider. It is very easy to operate by hand since all the rider needs to do is to pull back the left brake lever and the park brake lock is released. Having the automatic headlight on whenever a rider is driving greatly ensures his visibility to other motorists. And that is the reason why it is also a form of safety feature of the New Generation BeAT-FI eSP Series. And finally the combi-brake system is the safety feature that delivers controllability, convenience, and the sense of confidence for the rider because the technology in the scooter gives it the optimum braking power while reducing nosedive, which is very common in many scooters and motorcycles. 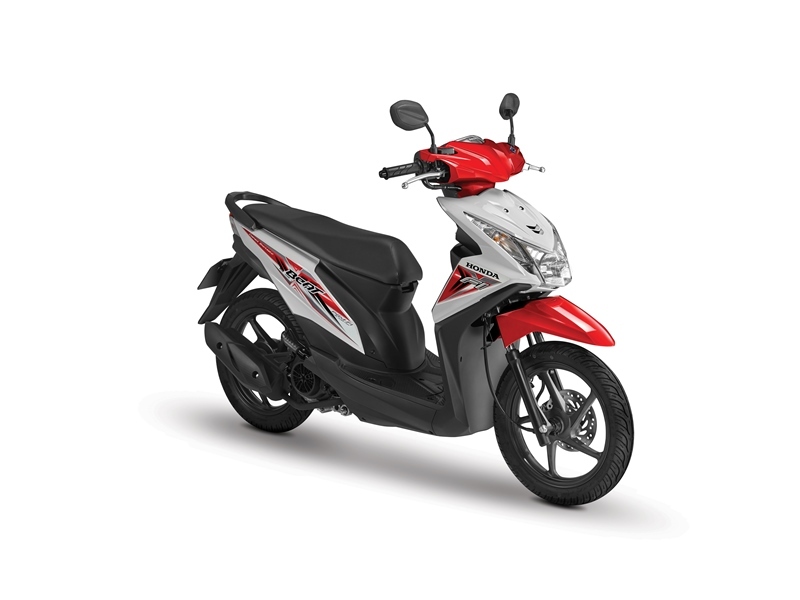 Because the technology enables the application of the right amount of brake power on both wheels of the scooter, shortest stopping distance when braking can be achieved. With all these new features, there is no doubt that the New Generation BeAT-FI eSP Series is the ‘Scooter of All’ and to everyone who are willing to let their beat out at every chance they can get. Circuit in Malaysia after being proclaimed Over-all Champion among the R2R 2014 winners. Lukasz from Australia, and Bibendum, the MICHELIN Man. Online game enthusiasts have until June 16, 2015 to join MICHELIN’s Right 2 Race (R2R) 2015 promo, an online game that tests players’ racing knowledge accurately, resulting in a fun and exciting experience. The game is played in six select countries and three players with the best and fastest lap times get the chance to win a trip to Sepang, Malaysia and join in the once-in-a-lifetime MICHELIN Pilot Sport Experience on July 18. The MPSE is a much-awaited motorsport event organized by MICHELIN in the Sepang International F1 Circuit in Malaysia where winners get to ride and drive with professional racers on high-performance vehicles such as the Formula 4, Renault Clio Cup, Lamborghini Super Trofeo and the legendary Formula Le Mans. Last year, one of the Philippines’ winners, Ivan Isada, won in the actual race and emerged as Overall Champion of the 2014 MPSE, besting 25 other winners from Malaysia, Thailand, Indonesia, Singapore, Australia and the Philippines. Safety, handling and speed were the race criteria, As the ultimate winner, Mr. Isada received an exclusive all-expense paid trip to witness the prestigious Le Mans 24 Hours in Le Mans, France in June 2015. To join, participants may log on to www.theright2race.com from May 13 to June 16, 2015 and play the game on the digital version of Sepang International F1 Circuit. The players’ driving skills on different racing lines and braking points will be tested in the game. The first Right2Race was launched successfully last year in Singapore, Australia, Thailand, Malaysia, Indonesia and Philippines. Another iteration of Alaska Cycle Philippines is set to gather families and friends for an even bigger and more fun cycling challenge from May 15 to 17 at the SM Mall of Asia Complex, Pasay City. From children as young as two years old to parents and grandparents, Alaska Cycle Philippines opens its doors once more to cyclists of all ages and abilities in its quest to promote proper nutrition and a healthy, active lifestyle. Whether you own a bike or not, you can participate in this year’s challenge and enjoy pedaling on a closed road manned by race marshals and protected by safety barriers. This year’s race is divided into even greater categories: A 100m/500m Tricycle Ride for young children ages 2 to 5, the 5.5-km Kids Ride open to children ages 6 to 10, and the 30-minute Junior Challenge for ages 10 to 12. Unique in this year’s race is the 20-km Individual Community Ride with Bike, wherein, even though you don’t have a bicycle, you can still join the race by registering and paying a fee of 6,000 pesos. Project sunglasses for Kiddie Riders only. Finishers will also get a beautifully crafted medal from Alaska. Alaska Cycle Philippines is an annual cycling event organized by Cycle Asia, in partnership with Alaska and Sunrise Events. The event is part of Cycle Asia’s network of premier cycling events across the region that offers participants the rare opportunity to ride on safe, closed public roads in major Asian cities. Different iterations of the race have been held in Singapore and Malaysia, with plans for similar events in Cambodia, Hong Kong, Indonesia, Myanmar, Taiwan, Thailand, and Vietnam. In the Philippines, this event is part of Alaska’s “Nutrition. Action. Champion.” program of promoting a healthy and active lifestyle through sports participation and milk consumption. Through events like Cycle Philippines, Alaska hopes to reverse the effects of obesity and malnutrition in the country. According to the Food and Nutrition Research Institute’s (FNRI) 7th National Nutrition Survey in 2008, about 2 out of 10 Filipino children, and at least 16 million Filipinos, are overweight. With low levels of physical activity, being overweight can lead to serious heart problems and diabetes at a young age, leading to serious health, financial, and social implications in adulthood. With Alaska Cycle Philippines, Filipinos can be part of a community activity that would help them become physically fit and healthy, enabling them to become champions in life. Become a champion too and join Alaska’s “Nutrition. Action. Champion.” Program. For more information on Alaska Cycle Philippines, visit www.cyclephilippines.com.ph/alaska or follow its Facebook page at www.facebook.com/alaskacyclephilippines. For live Twitter updates, follow @ALASKAsportshub. Organized by Sunrise Events, Inc., Alaska Cycle Asia Philippines is sponsored by Alaska Milk Corporation, Subaru, 2Go, Gatorade, Garmin, f2P Sportswear, Intercare, Storybook.ph, Specialized, Rudy Project, Pioneer Insurance, Devant, Finisher Pix and SM by the Bay. Media partners are The Philippine Star and ABS-CBN Sports + Action. Business Process Outsourcing (BPO) and Knowledge Process Outsourcing (KPO).According to its official website, LTE MENA 2015 returned to Dubai this May 2015 for the 5th year and fulfilled the promises to be the most exciting event, reflected the impressive progression of the region over the last 12 months. More than 800+ attendees participated, more than 50+ Operators came and more than 50+ exhibitors shared their products and services. Middle East Operators such as Etisalat and Du are working towards increased network capacity, improved QoS for consumers and better monetization of new and current services. Challenging the leading innovators in the mobile broadband market, they are beginning to drive the connected revolution towards LTE-A, IOT, Smart Cities and 5G. The emerging markets of the region continue to rollout LTE and expand their networks. Encountering different challenges and following different business models to their more established neighbors, they are beginning to harness the potential of LTE and drive revenues from new services. LTE MENA 2015 took a balanced look at both markets. Examining real case studies, the event incorporated advanced issues such as LTE-A, VoLTE, Video, Carrier-aggregation and 5G with LTE rollout success stories from emerging markets. In addition the most senior speaker line-up seen to date, the event offered unparalleled networking opportunities, through round table sessions, panel discussions, speed networking, in-depth focus sessions and a considerable exhibition floor bringing together MENA’s leading solution providers. The Elabram Systems Group (ESG) Directors participated in the Speed Networking, Signalling and Focus sessions. Also, ESG took advantage the booth space to share to the attendees a more detailed explanations of the solutions. 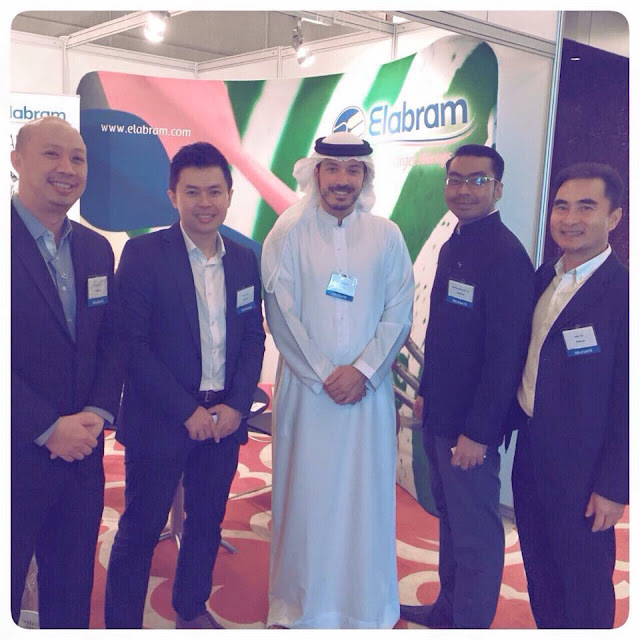 Elabram Systems Group is already 16 years in delivering quality solutions to different multinational and global companies worldwide and expanding to different industries such as Telecommunications, Mining, Information Technology and FMCG with headquarter in Malaysia and offices at Indonesia, Thailand, Philippines and Singapore and with more than 6000 manpower around the globe delivering quality solutions to different global companies. Bounty Fresh will bring #DiskarteNaMayArte to the Asia Digital Marketing Expo at the SMX Aura, on July 26, 2015. The campaign aims to celebrate the Bounty Fresh Moms out there who always find creative and resourceful ways to make homemaking extra special for their loved ones. Being a Bounty Fresh Mom is not just about providing for the house needs, it’s about providing the best experience for the family. According to Joan Caccam, Assistant Manager, being a Bounty Fresh Mom is not just about being a “wais mom”, who makes the budget fit. Being a Bounty Fresh mom is about being creative and resourceful to make everything extra special. This entails creativity, turning good chicken recipes to great chicken recipes. It’s about being resourceful, finding ways to turn the regular and ordinary things at home into something that will bring extra delight to the family.